Slide down a DNA helix, go on a journey through the human body, and explore tomorrow technology in Discover Robots! Come face to face with a dinosaur and explore a South East Asian Ecosystem! Cultural Innovations was appointed in 2013 to develop the vision, content and exhibition design for the world’s largest cultural project - the Sheikh Abdullah Al Salem Cultural Centre. Using our wealth of experience in museums, culture, science and attractions development, the Cultural Innovations team has curated a modern and immersive series of museums with enormous breadth, not constrained by existing collections, delivering content and experiences that are directly relevant to the people of Kuwait. Opened in 2018 on a 13-hectare site in the Al-Sha’ab district of Kuwait City, the cultural centre includes the Natural History Museum, Science and Technology Museum, Arabic Islamic Science Museum and Space Museum. 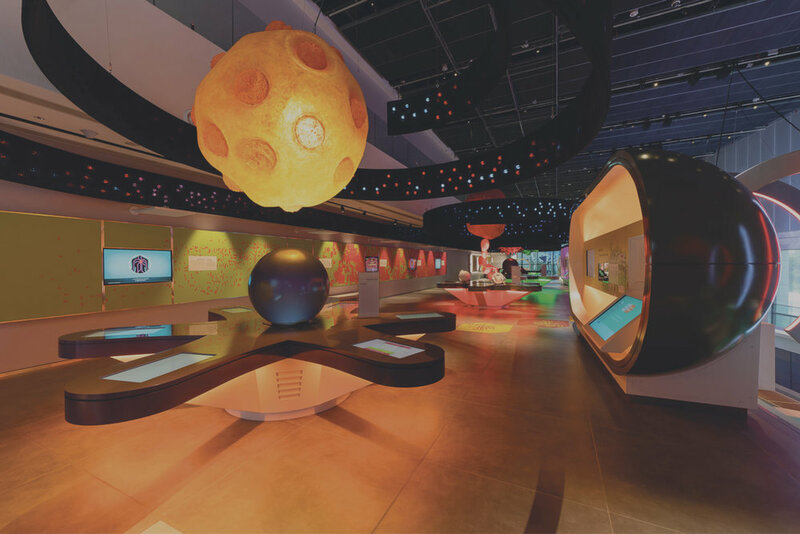 Using leading-edge technology, immersive environments, large-scale models and compelling interactivity across all four museums, the Sheikh Abdullah Al Salam Cultural Centre will provide an exciting range of attractions as well as a fresh new learning approach for Kuwaitis. To deliver this landmark project Cultural Innovations worked in collaboration with architects SSH Design and contractors Alghanim International and Beck Interiors. The museum complex houses 23 galleries in over 22,000 square metres, presenting over 800 exhibits and experiences. To deliver the project we assembled a team of over 140 people, with 30 content specialists focused on interpretation and content development, and 25 exhibition designers with additional expertise for graphics, lighting and audio-visual development. Our extensive range of experts were assembled from universities, zoos, botanic gardens, museums and organisations such as the European Space Agency to provide advice and to ensure scientific facts and interpretation are correct. For a list of articles, publications and videos, please click here. A new museum requires a new collection. The opening of a new museum provided a great opportunity to source and create a unique and incredible collection for the Kuwaiti audience. Fun and exciting exhibits to engage the Kuwaiti audience was at the heart of our design of the museum and something we strove for in each gallery. Involved from the outset, Cultural Innovations were responsible for developing the vision and mission for the cultural centre, identifying the core values of the museums. Media interactives are a much-loved way to engage a modern audience. 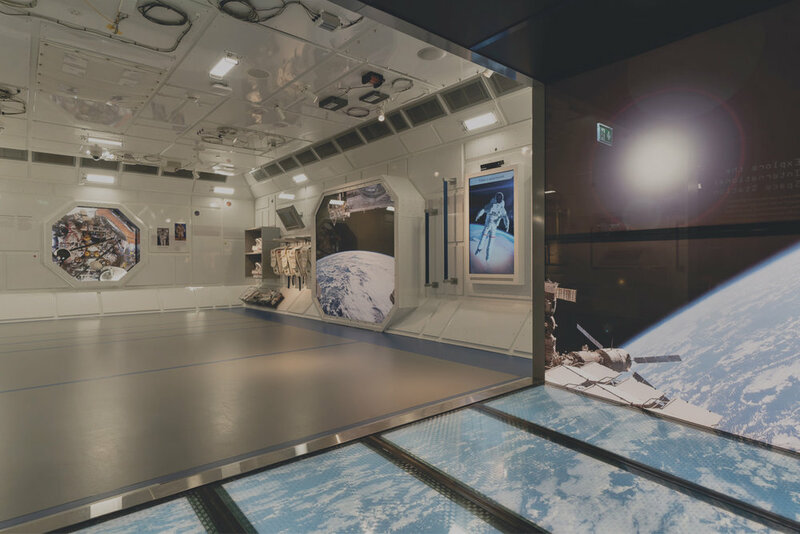 Visitors of all ages can engage with state-of-the art technologies to explore the content on display. The visitor experience begins from the moment they arrive on the site! Our museum design extended well beyond the boundaries of the main SAASCC buildings.